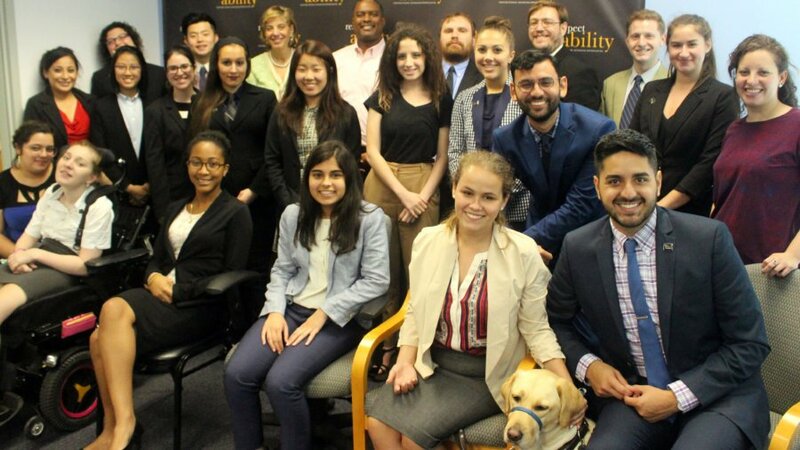 Rockville, Md., June 30 – Gerard Robinson, a resident fellow at American Enterprise Institute (AEI), visited Respectability to share with Fellows and staff about his experience and interests in education, policy and politics. Robinson discussed what skills he has found helpful throughout his career and his commitment to education. “Mindfulness” is a concept and important skill for a successful career, according to Robinson. He said any individual who chooses to work in a political environment needs to be mindful or aware of a few key factors: the position that they occupy, the power and duties that come with occupying such position, decisions and actions will impact a community or targeted group, and the attitudes and reactions (negative and positive) that may result from the factors mentioned above. Rockville, Md., June 29 – Imagine you are a lioness, deep in the African safari. You keep watch over your young cubs that are rolling and tumbling around under the blazing sun nearby. Suddenly, out of the corner of your eye, you see something rustling the tall grass close to your cubs. You stand up, now on alert. A dry breeze wafts the stench of a hyena into your nose before a piercing laugh splits through the air; your cubs freeze. Baring your teeth, you walk toward the hyena that is now visible. As you get closer, you hear laughter coming from all around you and your cubs. You are surrounded. Even as the hyenas move in, you are committed to protecting your cubs, no matter what. According to Celinda Lake, a person has the attention span of nine seconds; in order to capture that person’s eye, you must have a good story. During her talk with RespectAbility Fellows, Lake called upon her years of experience working for women candidates and nonprofit organizations working to increase the number of women in public office. When a woman is portrayed by the media or her opponent as being “aggressive,” she often is stereotyped as being too intimidating, and ultimately unlikeable. However, when the woman is shown as standing up for others, like a lioness, she is seen in a more positive light. Just because a woman is “intimidating,” does not mean she does not have a heart and the characteristics to “get the job done.” You cannot assume a person’s beliefs and values by simply looking at them. Hazelwood mastered the technique of captivating voters in the political world. His main expertise involves campaign strategy, message development, targeting and persuasion mail. A nationally recognized political campaign professional, his past clients included President George W. Bush and several U.S. senators and governors. Rockville, Md., June 29 – Donna Meltzer, the CEO of the National Association of Councils on Developmental Disabilities (NACDD), is not an ordinary disability rights advocate. In fact, it was an internship with Congress that opened her eyes to a new world of activism. 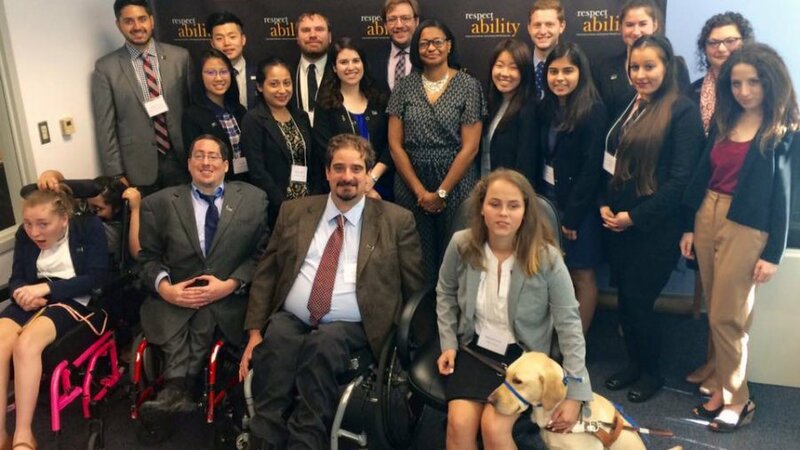 Since her internship, Meltzer worked for Rep. Tony Coelho, the father of the Americans with Disabilities Act (ADA). 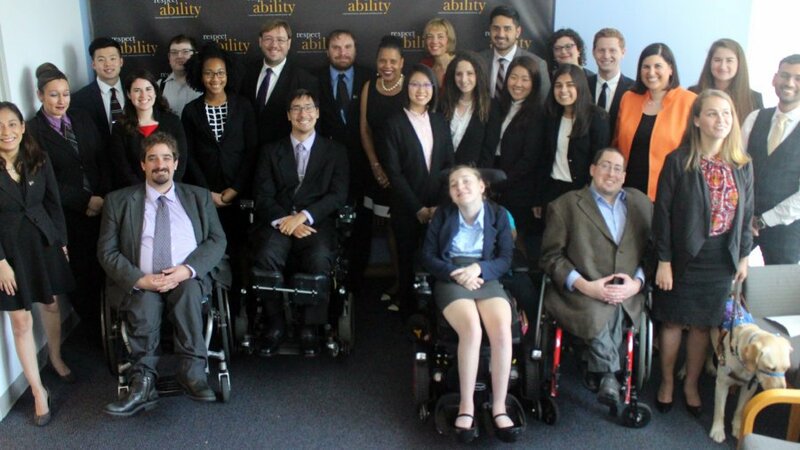 Along with experience in numerous other positions within the disability field, Meltzer shared a wealth of information with the Fellows and staff at RespectAbility. 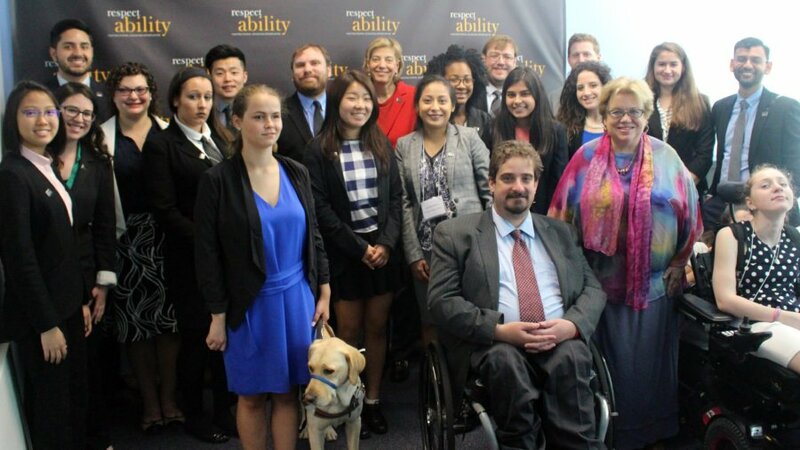 We learned about the history of the ADA, as well as NACDD’s efforts in the evolving disability sector. Rockville, Md., June 28 – Eleanor Clift never aspired to be in a position where her words could influence a large audience’s opinion. However, when the opportunity arose for her to become the amazing reporter she is today, she did not pass it up. Rather than constrict Clift’s development, the lack of expectations for girls her age served to give Clift a feeling of freedom to explore new opportunities. Initially Clift was a secretary for Newsweek. However, despite her sense of contentment in her secretarial position at Newsweek, she embraced new challenges and accepted the opportunity to cover presidential candidate Jimmy Carter, another underestimated underdog in society who proved the majority wrong. Since then, Clift has authored multiple books, reported for many publications and appeared in several talk shows and movies. 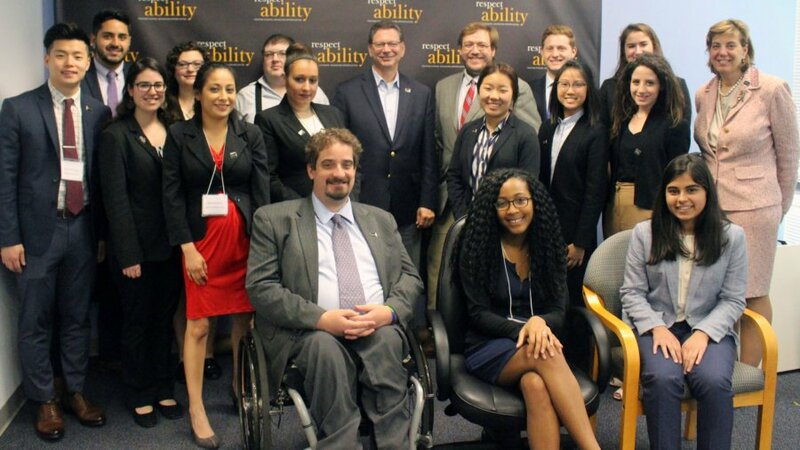 Thomas, the Associate Director and Special Education Policy Analyst at the American Federation of Teachers, spoke about strategies and tactics advocating for employment of people with disabilities. 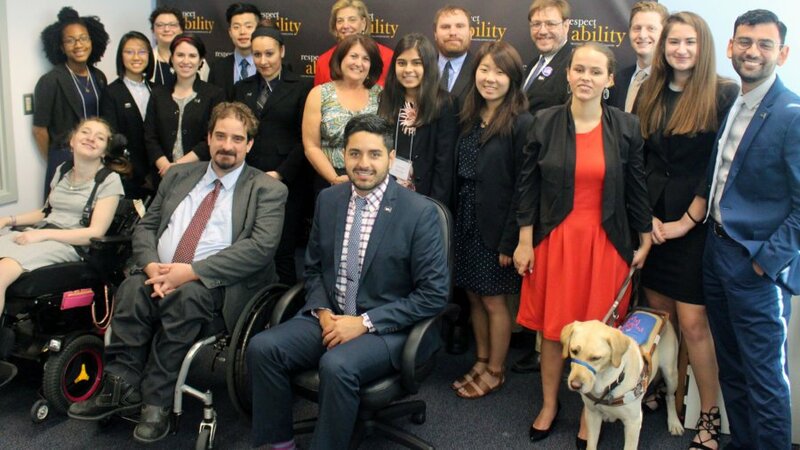 Fully one-in-five Americans have a disability and polls show that most of them want to work. However, of the 22-million working-age people with disabilities, only one-in-three are employed. This leads to poverty and costs taxpayers billions of dollars in disability benefits. Thomas’ words sparked my excitement and inspiration instantly. I wanted to be that one red rose amongst all of the snow, the optimist amongst all of the pessimists in the workforce today. His comparison unveils a truth most of us often overlook. We tend to believe that our current job, school/college and skillset make or break our careers. Thomas believes those things are important but explained that true success and opportunity come from our character and the impact we leave with others. 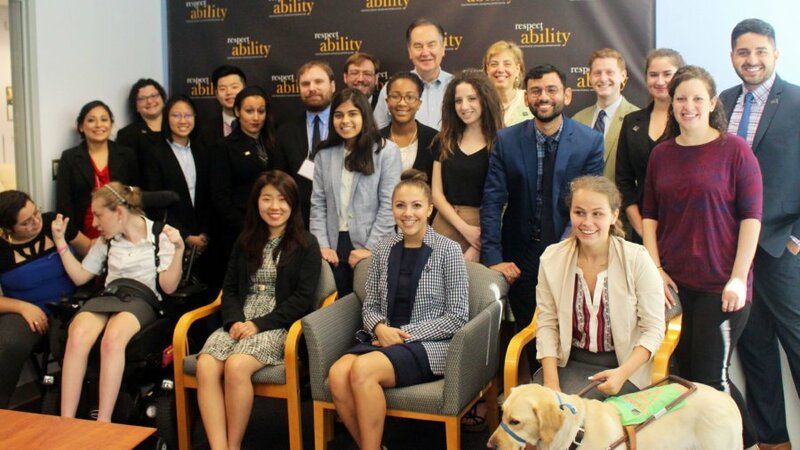 Rockville, Md., June 26 – Earlier this month, the RespectAbility Fellows had the privilege of hearing from Ron Drach, a combat veteran wounded in the Vietnam War. Drach says he’s lucky to have survived his wounds. Getting injured in 1967 provided him with what he considered “to be a “luck job,” because it led to a job offer with the Disabled American Veterans (DAV). 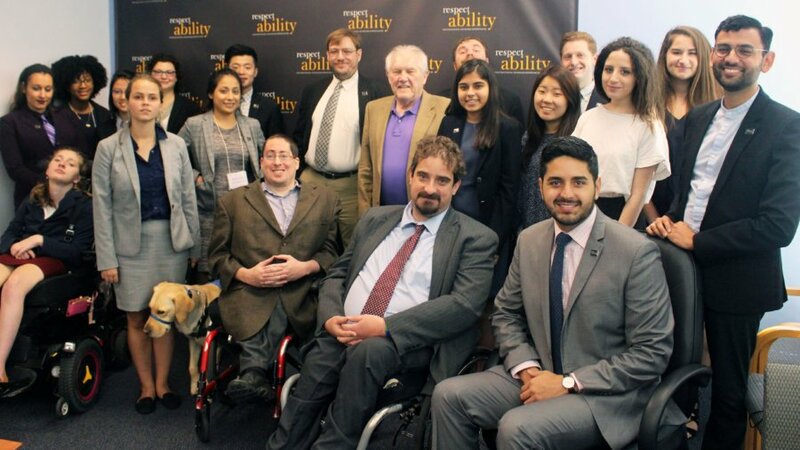 Rockville, Md., June 26 – Steve Rakitt’s journey to becoming the champion of Jewish disability inclusion began with a single decision to laugh. Rakitt grew up not viewing his hearing loss as a disability, to which he credits his mother’s incessant support and activism toward the inclusion of Rakitt and his brother. Rakitt viewed his external hearing aid as merely a fashion statement. However, one day the children in his sixth grade classroom decided to communally hum and laugh at Rakitt in an attempt to disrupt his hearing aid and cause him distress. Instead of being offended, Rakitt simply “chose to laugh.” In that singular moment, his life became about who he was as an individual, not letting himself be defined by his disability. Now, he is preparing to become the new President of the Genesis Prize Foundation. This was preceded by his current position as the CEO of the Jewish Federation of Greater Washington. In this position, he has championed the disability inclusion movement coinciding with his personal admission of hearing loss. 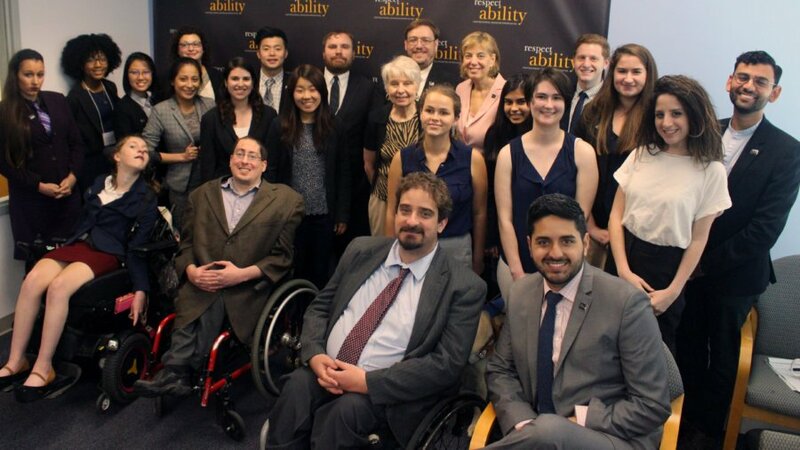 It was not until Rakitt became the CEO of the Jewish Federation of Greater Washington that he felt comfortable to publically discuss his disability and become the champion for Jewish inclusion in the Greater Washington community. 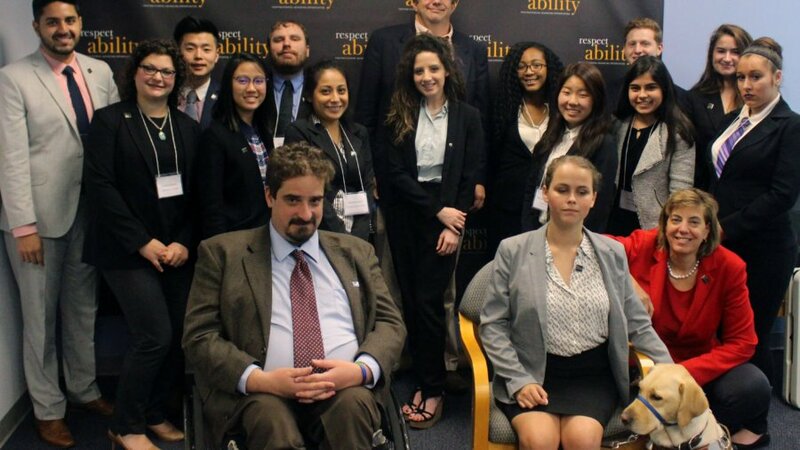 “Whatever discomfort I originally had about my disability was overpowered by the responsibility I had to reach out and make people aware of a community that hasn’t gotten attention,” Rakitt said while speaking to the Summer 2017 class of RespectAbility Fellows. Rockville, Md., June 12 – When Donna Walton walked into the RespectAbility office, she greeted us with a radiant smile and embraced me a warm hug. A champion for empowering women with disabilities, Walton brought an air of confidence and acceptance that could be felt by everyone in the room. Walton is the president of LEGGTalk, Inc., which provides resources for individuals in transitional stages and strives to empower individuals to conquer their personal limitations and help them succeed. She also created the Divas With Disabilities Project, which has a goal of helping to shape the perception of what “disability” looks like by promoting women of color through various media platforms.